Lutron Products - Technical Comfort, Inc.
As the area’s most trusted Lutron designer and installer, Technical Comfort is the ultimate authority in Lutron products. We will answer all your questions, guide you through the system selection and design process, manage your installation from start to finish, and provide upgrades and repairs if necessary. 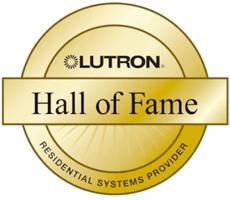 Our exceptional customer service and outstanding technical skill have earned us a reputation as one of the nation’s leading Lutron providers. 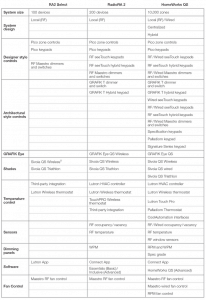 Wondering which Lutron product is right for your home? Read on to discover the available options. Ideal for the new homeowner, Lutron’s sophisticated RA2 Select allows you to fully customize up to 3,500 square feet of space. Keep your home cool and comfortable during the day, set a relaxed mood for a dinner party, or even light up the entryway when your car pulls into the driveway. Since RA2 Select integrates with the Lutron range of Pico remotes and keypads, as well as all the most popular personal assistants, it allows you to precisely control your system from anywhere in your home—or in the world. Read more about the Lutron RA2 Select system. Comfortably accommodating homes up to 7,500 square feet, Lutron RadioRA2 covers up to 200 independent devices. Interfacing seamlessly with the cloud, RadioRA2 uses a range of innovative technologies for the ultimate in convenience and comfort. Craft presets to accompany your favorite activities or enhance your daily habits. Its wide range of styles and colors add a touch of elegance to every room, while its intuitive controls make even minute adjustments a breeze. Read more about the Lutron RadioRA2 system. Make your home exactly what you want it to be. By far Lutron’s most advanced and robust home automation offering, the HomeWorks QS system offers unparalleled control over lighting and shades in your home. Achieve perfect balance and harmony between your lighting and shading systems, HVAC systems, and much more. Extending to over 50,000 square feet and accommodating up to 10,000 distinctive zones, HomeWorks QS is perfect for the tasteful luxury homeowner who wants to make the most of their space. 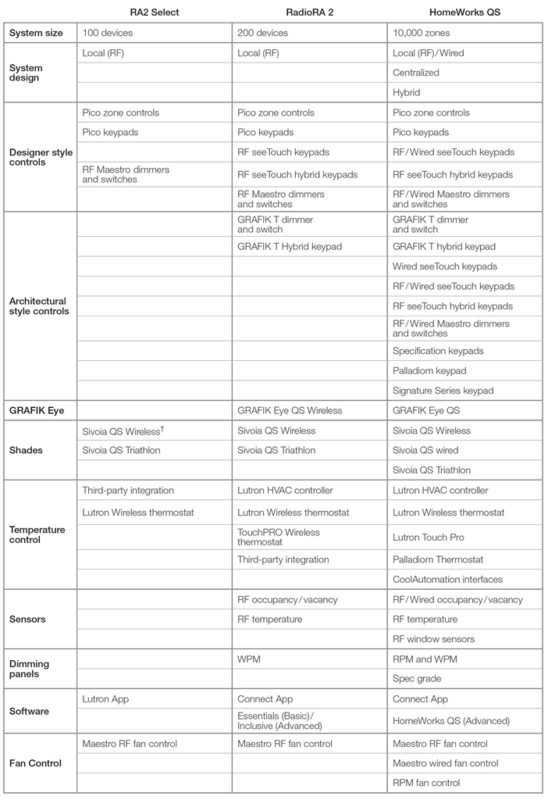 Read more about the Lutron HomeWorks QS system. No home is complete without the perfect lighting, and no Lutron system is complete without the latest features. Solve both problems at once by adding custom Lutron shades and drapes to your home. Combining luxurious fabrics and designer styles, all Lutron window treatments are built to operate smoothly and nearly soundlessly. They can bathe your home in gorgeous natural light, save substantially on electricity costs, and coordinate effortlessly with the rest of your Lutron system. Read more about Lutron Shades and Drapes. Technical Comfort is Orange County’s premier provider of Lutron products and services. We can help you design the perfect system, select the components that are right for you, and handle each phase of the installation process. Click to compare RA2 Select, RadioRA2 and HomeWorks QS.